We would like to introduce you to South Africa’s newest luxury safari destination, Rhino Sands Safari Camp. 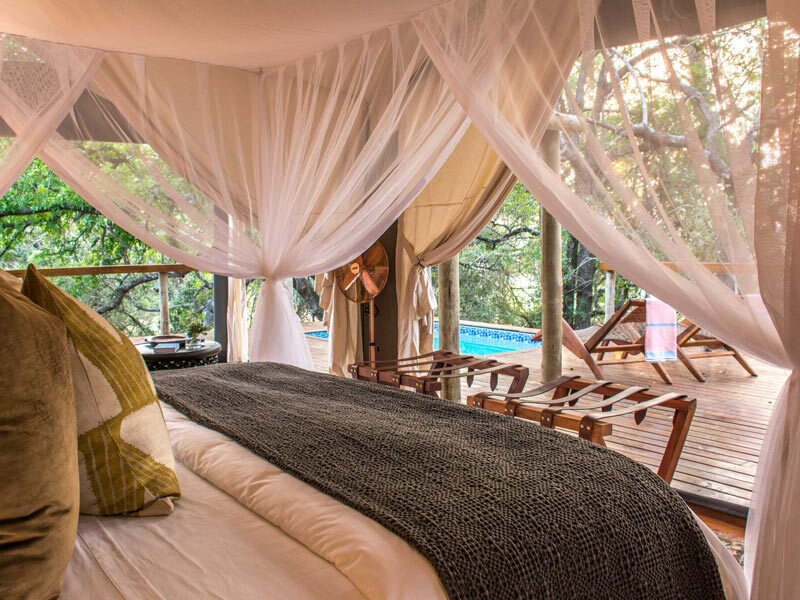 We’re getting back to the basics of safari…canvas, nature, romance and luxury all combined into one incredible experience in the big five Manyoni Private Game Reserve right in the heart of Zululand. 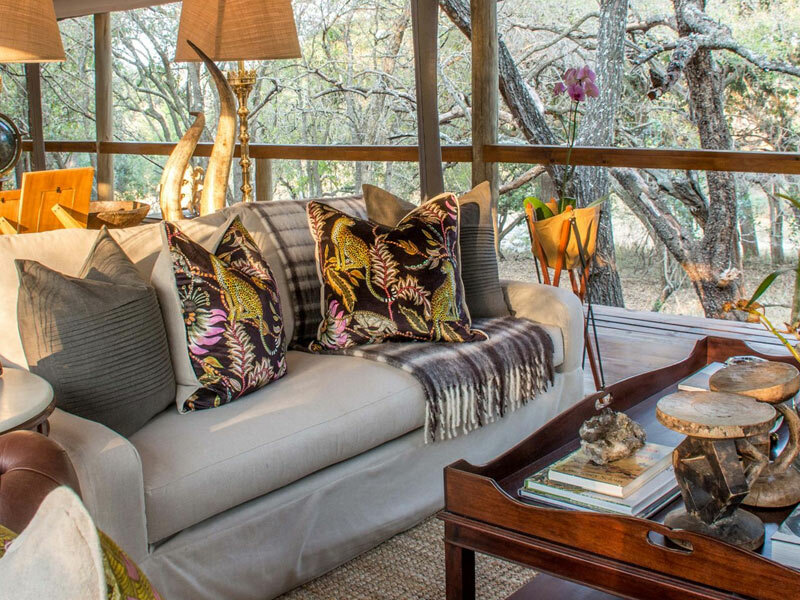 Each of our tented suites are situated in a private patch of riverine forest, with a stunning view of the river below where animals come to drink at permanent water holes throughout the year. With their own private swimming pools, lounges and outdoor showers, the guest accommodation is the ultimate in safari-style luxury. At Rhino Sands, we embrace the idea of a bespoke safari experience. While the daily rhythm revolves around game drives and meal times, each day is set to be a little bit different than the one before. With a maximum of only eight guests in camp at any time, your stay is guaranteed to be a personal and exclusive experience. Well-known for its fantastic game viewing and birding, Manyoni Private Game Reserve is the perfect place to go on safari. 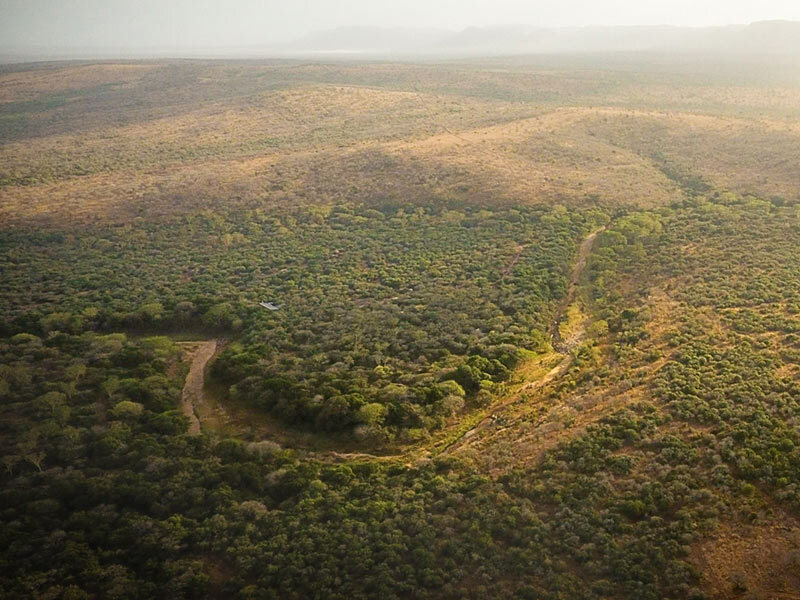 This world-class game viewing is within a private reserve, meaning that the number of vehicles traversing the reserve and present on any sighting is strictly regulated, allowing for intimate game viewing experiences and putting less pressure on the animals and the environment. Select a date below to check live availability and book a tent.